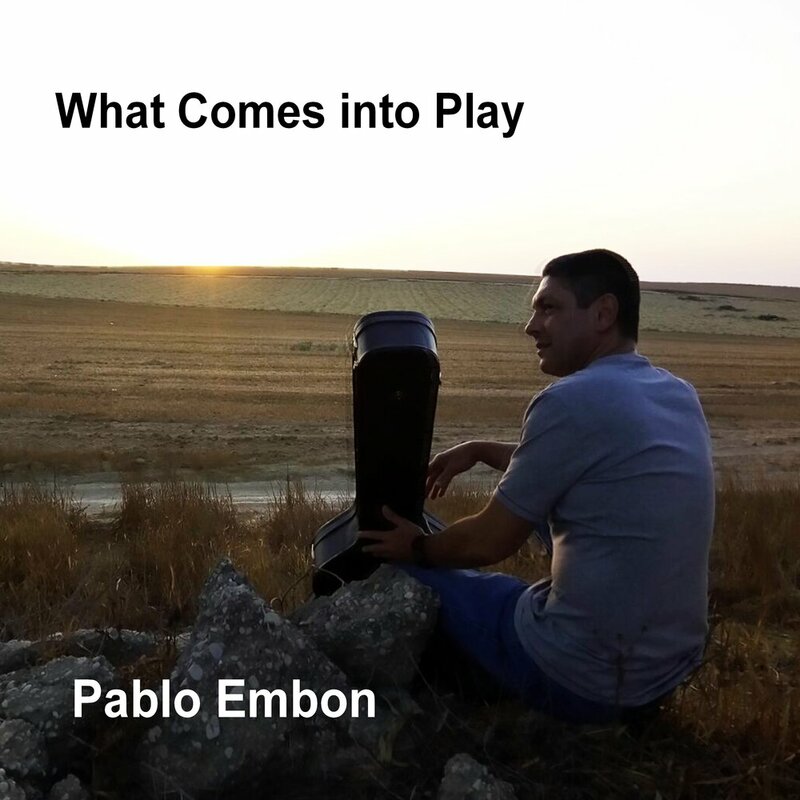 What Comes Into Play is the latest album by Pablo Embon. Over the course of 13 tracks, Embon is able to provide considerable depth and variety to his listeners. The album begins with Baby Steps, a track that hits upon a number of trends and sounds that will be heard throughout the release. Bluesy You is a dense and detailed track that is emotionally deep. The arrangements and the complex way in which they are oriented ensure that listeners will continue to find new twists and turns each and every time they play the track. Particular high marks need to be given to the guitar work and on-point percussion that are placed as focal elements during this track. Flogging a Dead Horse bleeds together blues and jazz with the singer songwriting style of a Paul Simon. Hints of Dire Straits and The Eagles can be heard during this track, but the dynamics that the guitar has with the piano and percussion during this single is purely Embon’s own. Borrowed Dreams is one of our favorite tracks on What Comes Into Play. The rich soundscape that Embon paints here is incredibly uplifting. The inclusion of a woodwind-like synth into the mix allows the track considerable differentiation from the rest of the compositions on the album. However, Embon’s talented hand is capable enough to make the song fit in perfectly with the rest of the efforts on this release. The insistent tempo and pushing beat keeps the momentum high as fans move into the latest stages of the title. Throughout the Years is another watershed moment. The sweeping sound and rich bass lines of this effort add that additional zing to what is a very traditional, emotive sort of composition. There is volumes that is told in the narrative to this single, far beyond the song’s run time. Part of what makes What Comes Into Play such a tremendous album is just how much Embon places in to each and every composition. While the songs are designed in such a way that fans are able to enjoy them fully is they are just passively listening to them (such as in a party setting or if the album is on when one is doing household chores), fans that are able to drop everything that they are doing and really focus in to the compositions and the dynamics present, along with Pablo’s usage of dark and light, loud and quiet, will be rewarded to a much more considerable degree. For me The Fall is the track that signifies the passing between the first and second half of the album. Wish I Were There has a hint of the 1990s R&B and cool jazz styles. The piano work stands out as a particularly tasty part of the composition. The ropy bass lines and the plinking of piano keys are what distinguishing cut from the rest of the album’s fare. It’s a particularly fun toe-tapping tune without losing any sense of the tremendous musicianship that demarcate a Pablo Embon single. When I See You looks back to the new wave and world music styles of the 1980s and 1990s for inspiration; the uplifting and resounding sounds of Embon’s composition here are coupled with intriguing time signatures and multiple musical layers. Somewhere in this World slows things down well, adding a bit of Spanish guitar music into the mix. The more sedate and thoughtful sound achieved at the beginning of the song opens up to a cooler flow that elicits a more autumn sort of sound. Ice Woman is a late-album favorite of ours as Embon builds up a deliberate and dark sound. The repetition of specific musical arrangements and the minor changes that Pablo does here will keep listeners on the edges of their seats until the track spins to a close. What Comes Into Play concludes with Morning T.. The track does double duty here, in that is closes up the album gently while providing fans with some semblance of whether subsequent albums may ultimately go. There are few albums that are able to achieve the same high standards from the initial strains of Baby Steps until the final one two of Distant and Morning T., but Pablo Embon is able to keep strong from the beginning to the end of his latest. Samples from the disc are available on Soundclick and Reverb Nation.